Reduce debugging and troublesome bring-up phases by understanding and designing for signal and power integrity. Learn both theory and practical tips, and do hands-on simulations to see the effects right away. See More. Available world wide as public course or private on-site. Driven by your needs. 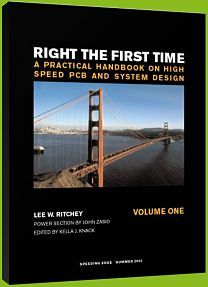 Learn practical VHDL design for FPGA and ASIC. Take away a flexible FPGA project infra-structure which includes a set of scripts, example designs, modules and constraint files to use, adapt and extend in your own projects. See More. This course teaches you how to increase productivity by enhancing VHDL coding and application skills. Presented in two distinct course modules, Expert VHDL focuses on language and synthesis issues, design maintainability and re-use, test benches and the latest techniques for verification - including an introduction to OVL/PSL and modern assertion-based approaches to verification. See More. Copyright 2019. All prices shown are exclusive of VAT. General Terms & Conditions apply.